I HAVE DECIDED THAT I NO LONGER WANT TO BE AN ADULT... IF AN - ProudMummy.com the Web's Community for Mums. I HAVE DECIDED THAT I NO LONGER WANT TO BE AN ADULT... 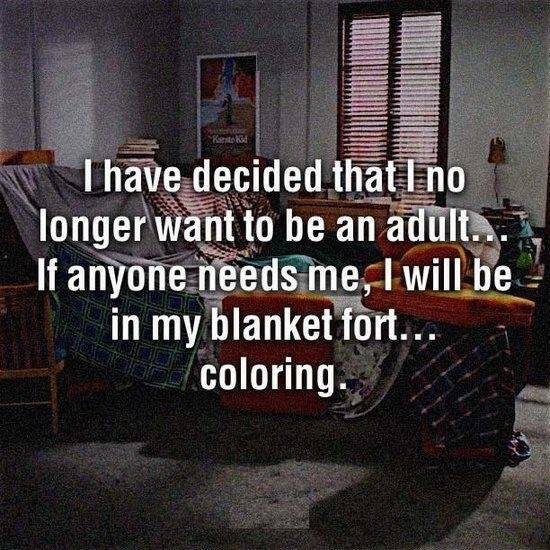 IF ANYONE NEEDS ME, I WILL BE IN MY BLANKET FORT... COLORING.